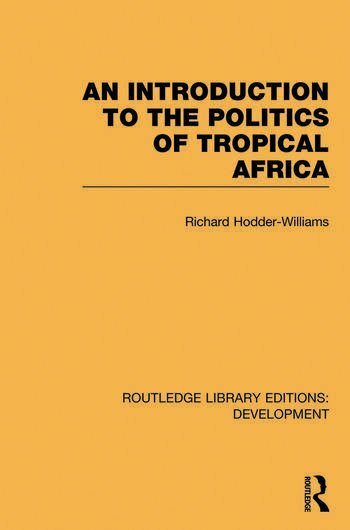 This wide-ranging and informative introduction to politics in tropical Africa, first published in 1984, is essential reading to students, businessmen, government officials and economic advisers alike. Situating the contemporary scene firmly in its historical context, which stresses both pre-colonial and colonial heritages, he emphasizes how politicians are constrained by the past, the physical environment and the world’s economy, yet still retain freedom of choice on a wide range of issues. The book is thematically organised and provides both an overview of the general similarities of the continent and also enough detail to flesh out the realities of tribalism and corruption, as well as illustrating the variations that inevitably occur in a continent of sovereign states.